There is a way to make your messages and text stand out, throw in a few graphics and you will hold someone’s attention for longer. This is called using “infographics” and here is a quick rundown of what you need to know about infographics. In this episode, our team of Adelaide social media experts will share with you the things you need to know about Infographics for your business. But are infographics seen as “sugar” for the mind? Yes, as it is an easier, quicker and a more engaging way to share important information. Who wants to read a 2000 word black and white report? 2% of cold calls result in an appointment. Why isn't cold calling successful anymore? Listen to this episode to find out. 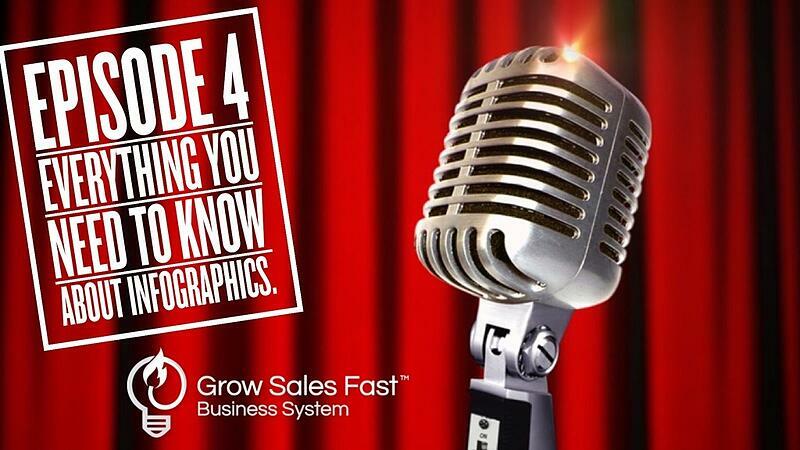 Onaverage a consumer would consume 5 pieces of content information before talking to a salesperson. Does your website contain content that is helping your customers? Listen to the podcast to learn what's the best way to provide information and build your customer's trust. Most commonly Thursday is the best day to prospect, Wednesday is the 2nd best day and Tuesday is the worst day. Prospect is a term we use in hope to gain your next customer by providing a product or service. But at The Kingdom, we discovered that Tuesday is our best day. The best day for your business must be tried with trial and error.